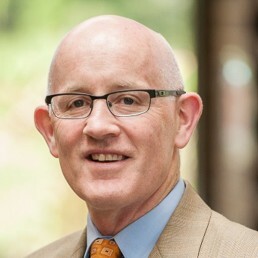 James Sullivan, Ph.D., is Vice President, Discovery. In this role, he is responsible for AbbVie’s research efforts in a variety of diseases including cancer, Alzheimer’s disease, hepatitis C, and a number of autoimmune disorders. He oversees a global network of scientists that includes AbbVie researchers at sites in the United States and Europe, and external research partners around the world. Dr. Sullivan is a member of the R&D Leadership Team that has responsibility for the advancement of compounds in all stages of development, the Executive Licensing Steering Committee and the Scientific Governing Board for Abbvie. He is also an executive sponsor for the AbbVie Women in Science organization. Jim joined Abbott in 1991 and has held various positions in the R&D organization. Jim has advanced multiple compounds into clinical development across multiple therapeutic areas including AbbVie’s recently launched combination product for HCV, the Bcl2 selective inhibitor, ABT-199, for oncology and a number of dual variable domain immunoglobulins (DVD-Igs) for rheumatoid arthritis and cancer. He has more than 130 scientific publications and is an inventor on 11 patents. He is an adjunct faculty member at Northwestern University of Chicago. He earned his bachelor’s degree and Ph.D. in biochemistry from Trinity College in Dublin, Ireland, and conducted post-doctoral research in neurobiology at Northwestern University.